At Diamond7 Casino there is support for different languages such as English. The site has a remarkable and mobile design with a superb selection of casino games. There are more then 500+ titles on the site from game providers such as Evolution Gaming, Leander Games, Elk Studios, 1×2 Gaming, Betsoft, NextGen Gaming, Ezugi, Thunderkick, Igaming2go, 2 By 2 Gaming, Quickspin, NetEnt, High5Games, Rabcat, NYX Interactive. 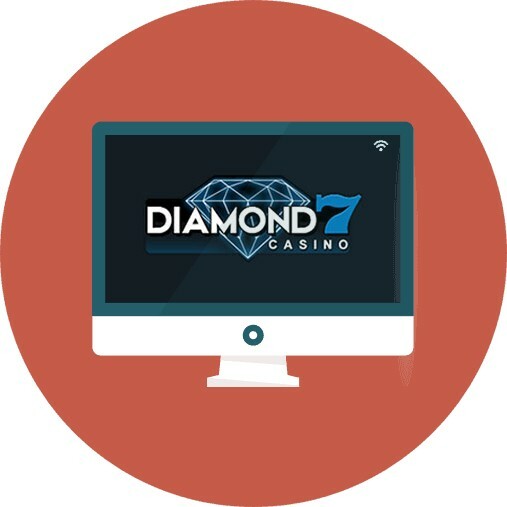 Established in 2015, Diamond 7 is owned by White Hat Gaming and offers a quality NetEnt casino to players. Slots, live dealer games, bingo and much more awaits in this site that is licensed and regulated by the UK Gambling Commission, and out of Curacao. The casino claims that your stay will be enjoyable, memorable, and a thoroughly fair and safe environment. To achieve the needs of its gamers, Diamond 7 work with a variety of well-known game suppliers such as BetSoft, Leander and NYX so everyone can always rely on finding something to suit all tastes. 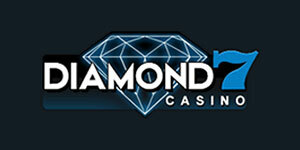 For all players from the UK, it’s good news that Diamond7 Casino have a license to operate in the UK market. The UK license provides an extra layer of protection for the players, as the casino site has clear regulations to follow in order to maintain the license they have. 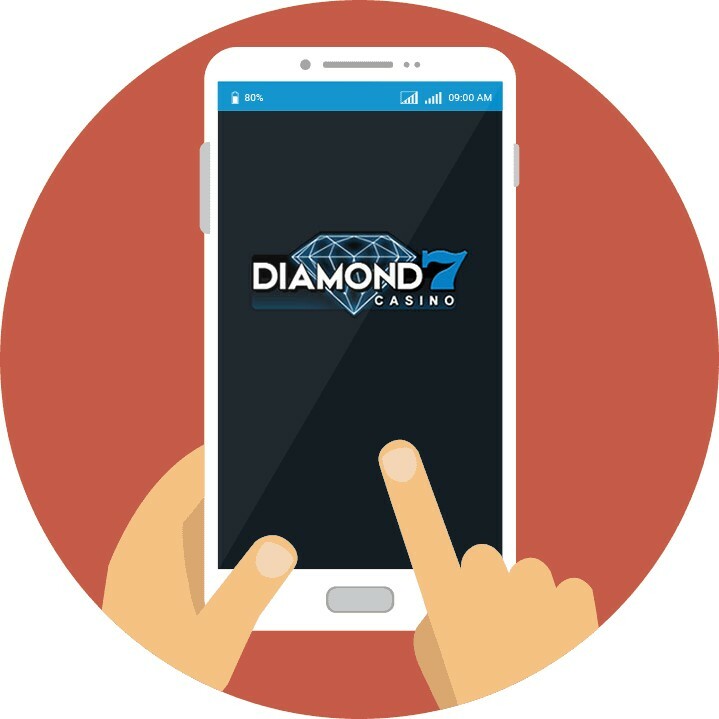 Diamond 7 is an instant-play casino which means all games can be accessed without the need of any additional downloads, and can be played on Android and iOS powered devices. There are hundreds of games to choose from on the site, and as well as the software developers mentioned above, there are others that contribute such as NextGen Gaming, Quickspin, Rabcat, 1×2 Gaming, Igaming2go, Thunderkick, Ezugi, 2 By 2 Gaming, Elk Studios and High5Games. All games are also tested by a RNG to ensure fairness at all times. As with most casinos, slots feature the most on Diamond 7 and here you can find all your popular choices such as Starburst, Fruit Warp, Foxin’ Wins, and Jack and the Beanstalk. There is also the opportunity for players to win some big money with the jackpot games on offer. It has been known for players to win millions of pounds playing these and titles include Vikings of Fortune, Paws of Fury, Divine Fortune and Naked Gun. A casino wouldn’t be one without table games and fans won’t be disappointed here as there are 56 different titles on offer, including variants of blackjack, roulette, poker, baccarat, pontoon, punto banco and red dog. It’s great to see a casino not neglecting this side of the casino, as many do. There are other games that customers can play on the site, including scratch cards, bingo and virtual football. If you fancy experiencing a real casino without leaving your home, then this is your chance. There are only 13 types of games here but you get to play with real dealers who you can interact with for a different vibe. Games here include poker, roulette, blackjack and baccarat. Players will be able to fund their accounts using Visa, MasterCard, Trustly, GiroPay, Sofort, Paysafecard, DotPay, Skrill, Neteller, and Bank Wire. The minimum that players can deposit is £20 while the maximum daily limit is £2,000. All deposits are processed instantly. There is also a minimum withdrawal limit of £30 and the maximum is £1,000 per week. Jackpot wins in excess of £250,000 may take up to 30 days to be paid to the player. SSL encryption technology ensures your personal details and information is kept safe from cyber criminals and a list of accepted currencies includes EUR, USD, GBP, NOK, AUD, ARS, BGN, BRL, CLP, CNY, CZK, HKD, MXN, MYR, RON, RUB, SGD, ZAR, SEK, CAD, HUF. Customer support is important for all players as you want to know you are in good hands. Thankfully, Diamond 7 manages to offer 24/7 help through their live chat option and by email. Here a customer support agent will be on hand to give you assistance straight away. Unfortunately, we could not find any telephone number but there is a decent FAQ section so check if your question can be answered on there first. Social media savvy’s will be pleased to know that the casino is present on Twitter where you can find all the latest news and information, plus bonuses, on here if you wish. You can reach the mobile site in your browser and play most of the games, whether you have an iOS or Android phone. The site is fully responsive and adapts to whichever screen size you have as a player.